This is the summary of consumer reviews for SPRI Xertube Resistance Band Exercise Cords with Door Attachment. The BoolPool rating for this product is Very Good, with 4.30 stars, and the price range is $6.95-$14.98 (Price varies by color). The SPRI Xertube Resistance Band Exercise Cords with Door Attachment are made of high quality rubber material that offers progressive resistance and allows for isolation of targeted muscle and full range of exercises. This heavy-duty material has greater resistance to abrasion and tears that stands up to rigorous demands of professional or personal use. The Xertube Band is lightweight and highly portable. The straps can be rolled up and stored easily in bags or suitcases used while traveling, thus making it perfect for travel, gym or home use. 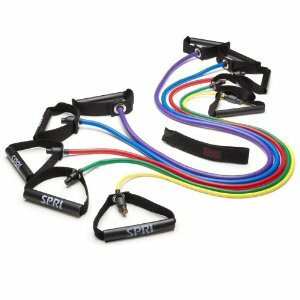 The SPRI Xertube Resistance Bands are color coded for 5 levels of resistance. All Xertubes come with hard handles unless specified by the customer. However, the Yellow Xertube is also available with soft handles. The SPRI Xertube is perfect for building strength, Pilates, physical rehabilitation and some other rigorous workouts. Though the handles are hard, they are sturdy and completely comfortable even for arthritic hands and wrists. The band offers unlimited workout combinations. The included door attachment, chart and SPRI website helps in additional workout options. However, some users feel the Red - medium band does not provide the level resistance as claimed. Some users faced handles tearing apart after some usage. Door attachment looks cheaply made and dangerous as per some users. Overall, the SPRI Xertube Resistance Band Exercise Cords are highly recommended by users for ease of use, durability and reliability. 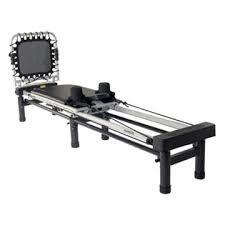 It is perfect workout tool for upper or lower body. 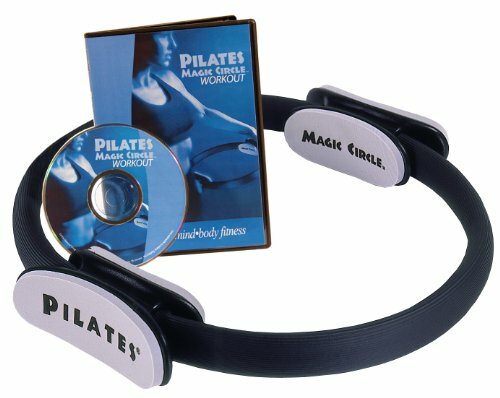 Ideal for group exercises, personal, training and traveling, this handy exercise tool needs very little space to begin a safe, effective total body-conditioning program. Yellow - Very Light Resistance - Suitable for beginners - At 1-1/2 times its length, the weight equivalence is approx 3-5 pounds. 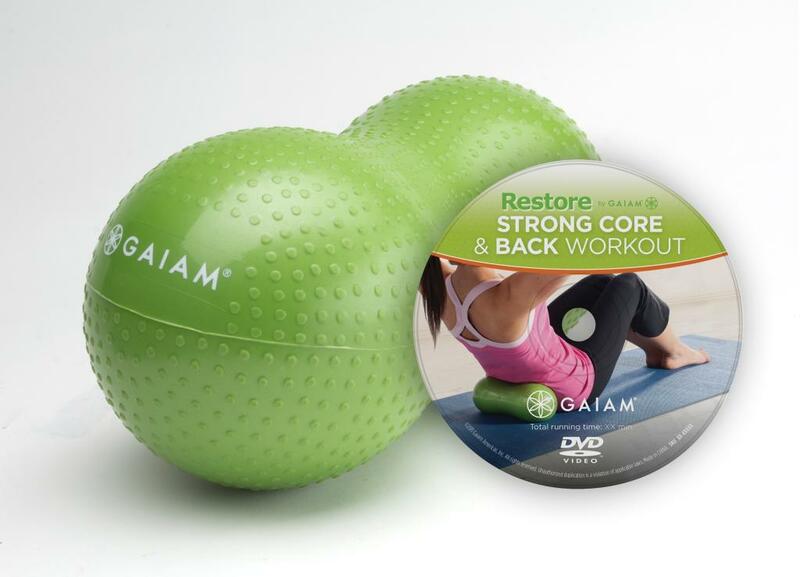 Green - Light Resistance - Suitable for moderately fit - At 1-1/2 times its length, the weight equivalence is approx 6 pounds. Red - Medium Resistance - Suitable for moderately fit - At 1-1/2 times its length, the weight equivalence is approx 10 pounds. Blue - Heavy Resistance - Suitable for very fit - At 1-1/2 times its length, the weight equivalence is approx 15 pounds. 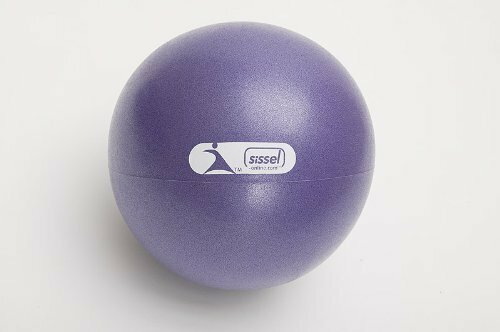 Purple - Very Heavy Resistance - Suitable for extremely fit - At 1-1/2 times its length, the weight equivalence is approx 20 lbs. Tube Lengths - Very Light / Light = 44", Medium = 50" and Heavy = 53"
It offers enough resistance to provide a good workout. 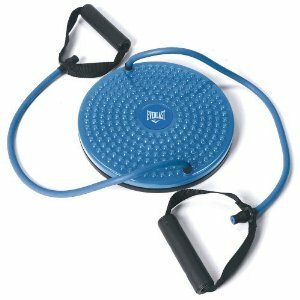 I bought the blue/heavy resistance band to use in two of my tube workouts. The resistance band is a great and effective free weight workout. This's a great workout tool for every body. my personal trainer always used the SPRI tubes at the gym, so when I started traveling more for work, I went out and purchased the SPRI tubes (one green, one red and one blue) and I use when I travel (and at home for quick workouts). Great to use on the go or when your looking for a short workout if your on time demand. Light weight, easy to use, portable and well made. I recommend it to any one looking for a no hassle workout that can be done almost anywhere. follow the workout charts they give you. I use this mainly for upper body workouts, but it can also be used for lower body as well. Seems well made, I like the handles. Does the job, but the handles hurt my hands. Handles are comfortable even for arthritic hands and wrists. The metal grommet that connects the band to the handle had a sharp edge that sawed through the handle in no time. This supposedly extra heavy band snapped right out of the handle while I was doing a set of Chest Press ,injuring my pectoral muscle in the process. The tube is beefy and the handles are sturdy. The handle tore apart from the band after 10 - 20 uses. A proper design would be an anchor (to the handle) that's stronger than the band itself- ie, the band will snap before the handle attachment fails. Provides good exercise with little cost. I feel it in my arms and with the work out chart I can get additional exercises. However, this was for "therapeutic" exercises my doctor prescribed me. For that, it works pretty well. For most of my arm exercises (the included booklet gives some great exercises to get you started) I just grip both handles with one hand, doubling the band and increasing the tension. The accompanying list of exercises that comes in the box is just OK; you can find many more exercises on the SPRI website. The combination of exercises is limitless. Door attachment looks cheap and dangerous, but it works just fine. I started with the red bands and now use the blue for some exercises. You can progress pretty quickly to the next color band for some exercises (bicep, chest and back). Contents: Came with band, door attachment in a box with a little manual on a couple of exercises. It's very helpful for the exercises I need to rebuild strength in a shoulder that's given me problems. Tough bands and work very well. After several years of hard use, the band (blue = heavy weight) continues to work perfectly. so far im doing alot of bicep curls on this and it works it also works great when attached to a door. Got what I expected, hard to know how to order resistance levels, this's quite heavy but works for my purpose. They just don't work the same as weights. It can be used to work out arms or legs. 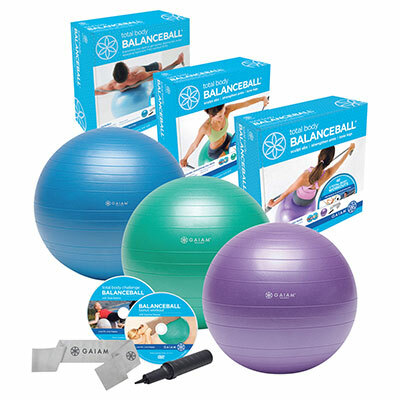 I wouldn't recommend this for someone who doesn't normally work out, they've different colors for different resistances. All in all it seems well built door attachment is great, plus you can just adjust the height of your arms and work different muscles. The tubing is perfect resistance for me and that part works well. If you're just starting out with resistance training, start with the lighter resistance, but if you've been working with resistance bands for a while and would like to increase your resistance, this's a great band to work with. 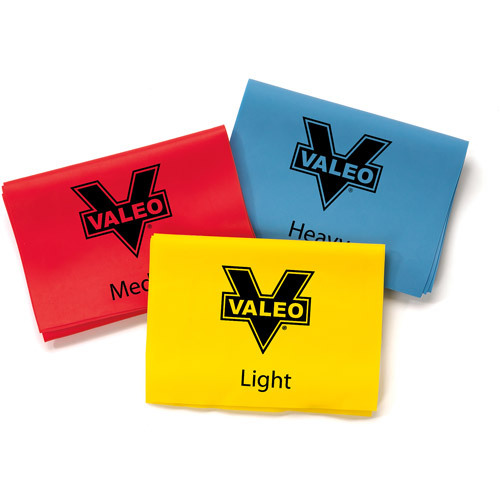 As an early-20s, 6'0", 180lb male, the red (medium) bands were a little weak, so I plan on purchasing the blue (heavy) bands to better suit my workouts. I ended up buying the blue band quickly after receiving this one because the red wasn't offering enough resistance. If you need more resistance, try the blue (heavy) or the purple (very heavy) bands. Unless you're very weak or just started to work out, don't buy this. I've gone through 3-4 different bands until I started buying SPRI. 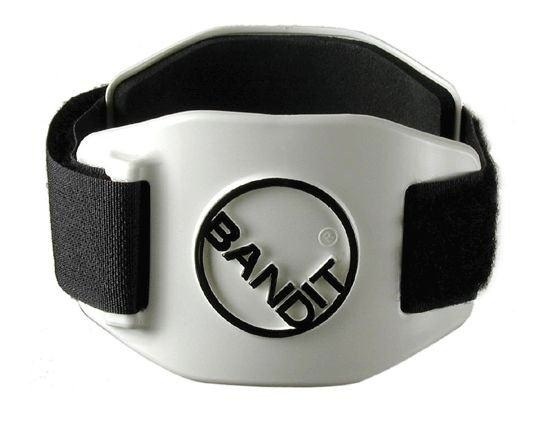 Great starter band but if you're fit then I'd suggest either the blue band (15 lbs) or the purple band (20 lbs). We bought the Red, Blue and Purple bands to use with the P90X video series (which is awesome). So I'm going back to dumbbells for most of weight lifting workouts. The packaging describes the red bands to be of medium resistance and for people who're moderately fit to fit.